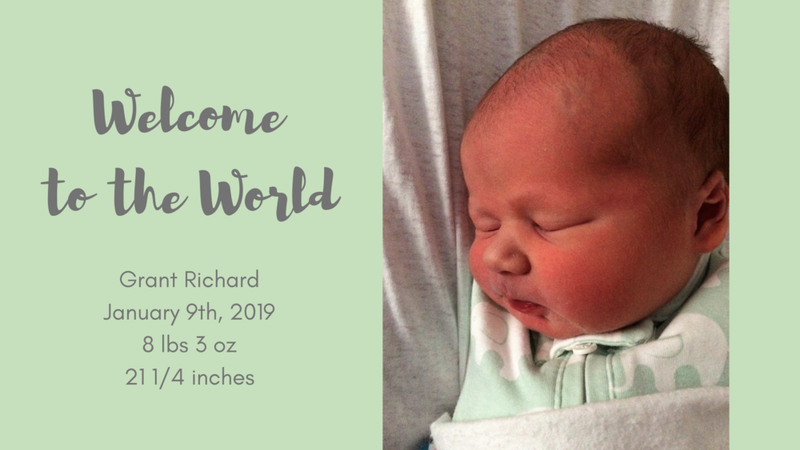 Please join us in congratulating our very own Dr. Alex and her husband Brady as they announce the birth of their son Grant Richard. Grant was born on January 9th, 2019. He was 8lbs 3oz and 21 1/4”. We are happy to report that mom and babe are doing well. *Please do not share the photo with others, Thank you!